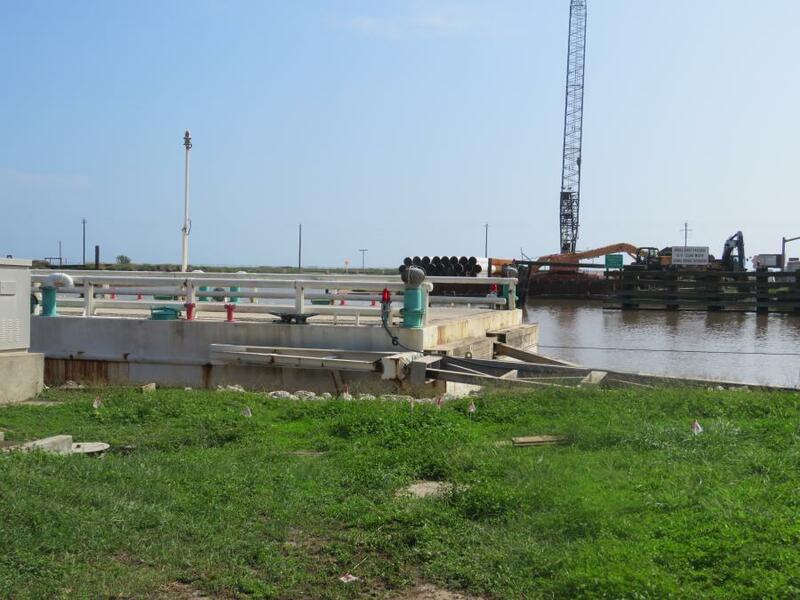 At a cost of $43 million, the Texas Department of Transportation (TxDOT) is replacing the FM 457 swing bridge in Sargent with a concrete corkscrew bridge that will span the Gulf Intracoastal Waterway (GIWW). The construction will provide access for residents on the south side of the waterway. According to a TxDOT consultant who wishes to remain unidentified, "The FM 457 swing bridge in Sargent is in need of replacement because of its age and the high maintenance costs associated with its upkeep. The swing bridge was a retrofitted barge that opened using a cable and pivot to allow both commercial and recreational vessels to pass. "It required frequent maintenance and operators on duty around the clock. After considering the operating costs of approximately $350,000 per year and time delays for inhabitants and emergency vehicles, a decision was made to replace the bridge with a tall, fixed structure." 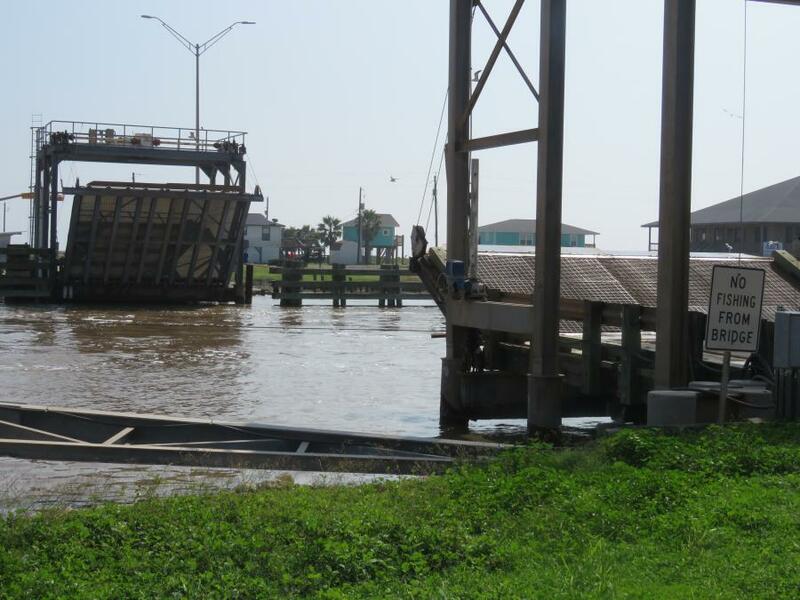 Now is a good time to carry out the work, because there is increasing barge traffic in the channel, and the bridge must shut down to traffic. Motorists have to wait to cross the current structure, and emergency response times can be delayed. The existing bridge also is in need of significant costly repairs. The amount of money saved by eliminating the maintenance and operation of the swing bridge will be greater than the cost to construct the new bridge. As part of the planning process, a detailed study was conducted concerning effects on the natural and human environment, including potential impacts to floodplains, potential wetland, vegetation, wildlife, land use and threatened and endangered species. Other considerations included aesthetic and visual resources, surface water, historic and archaeological resources, potential displacements to residents and businesses, as well as social and community impacts. It also was important to obtain feedback from the community. For local residents, the bridge has become part of their daily lives. Some consider it a historic landmark — the last of its kind in Texas. A corkscrew bridge best accommodates the limited space along FM 457 and height requirements for a new bridge. Officials believe it wouldn't be practical to place a standard span bridge in such a limited space. One of the biggest construction challenges involves control of the construction survey, due to complexity of the project geometry. The overall layout of pilings, footings and bents is not standard, because they are in a curve, and increasing or decreasing in elevation throughout the bridge. The delivery, handling and storage of materials also is an issue. Production piles and precast caps will be delivered and uploaded by barge through the canal. The narrow channel and shallowness near the bank make off-loading difficult. Storage areas are limited, due to proximity of water and the small footprint of the work area. 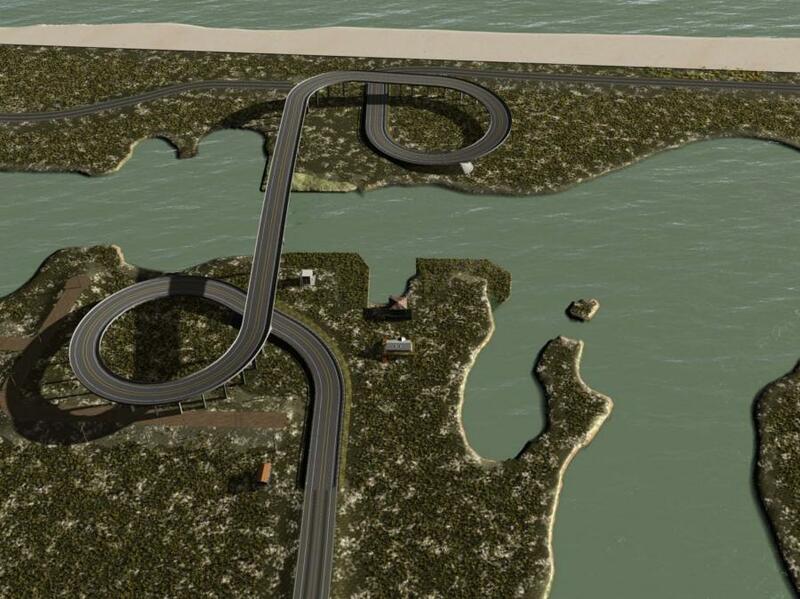 Lifting and erecting the center span over the channel with an overhead gantry will be very challenging, as well. Constructing bents in the water is another concern, along with driving piling in the water and forming footing just above the water. Before work on the bridge could begin, utility line removal and replacement across the GIWW had to take place, as some of the utilities interfere with construction. Crews typically relocate or remove all utilizes in the right-of-way before beginning work, not wanting to start and then get interrupted with a delay that would cost time and money. 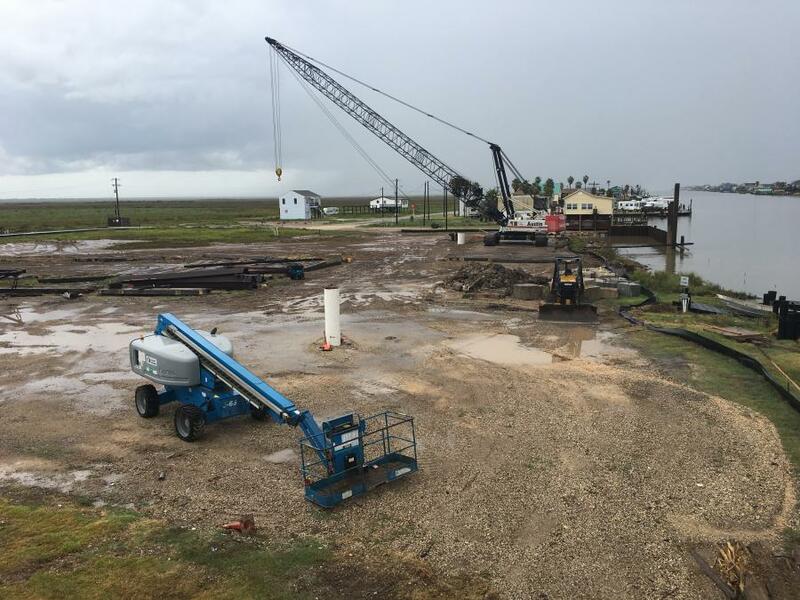 The contractor had to place test piles at four locations to determine or verify the length of the permanent piles that will support the 384-ft.-long main superstructure crossing the GIWW. The main span has two 195-ft. back spans and a 300-ft. navigational channel span. 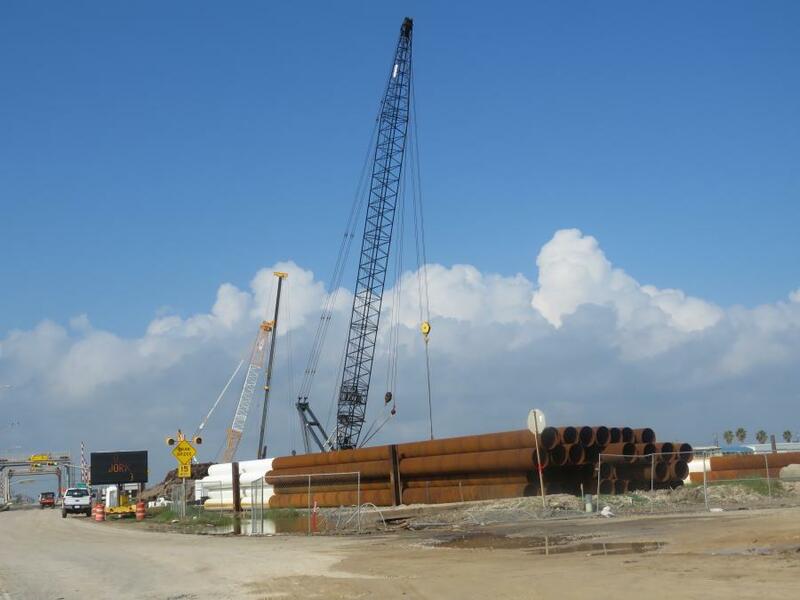 TxDOT noted that the test pile program was completed at several locations through the entire bridge. From the results of the test program, it could be determined if the plan pile lengths would need to be adjusted to a longer or shorter length. Crews also are able to determine the bearing capacity of the piles. The test pile results were compared against the bearing required, as shown in the plans, to ensure the piles can support the bridge. Workers also had to repair approaches to the swing bridge on the north and south banks of the waterway to accommodate a crane to move heavy equipment used in the bridge replacement project. Work was performed on the north leveling span stringers, underneath from a work boat. Crews re-positioned several existing washer plates on the stringers. The plates were clamped together, so they were in firm contact with the stringer. A restraining plate was then welded to the ends of each stringer, with some bolts replaced and others tightened. In some areas, the end of the stringer had to be slightly trimmed to weld the plate. Regarding pile work, as well as the footing, columns and the caps for the beams on the north bank, production piles installation commenced in August at Bent 20. 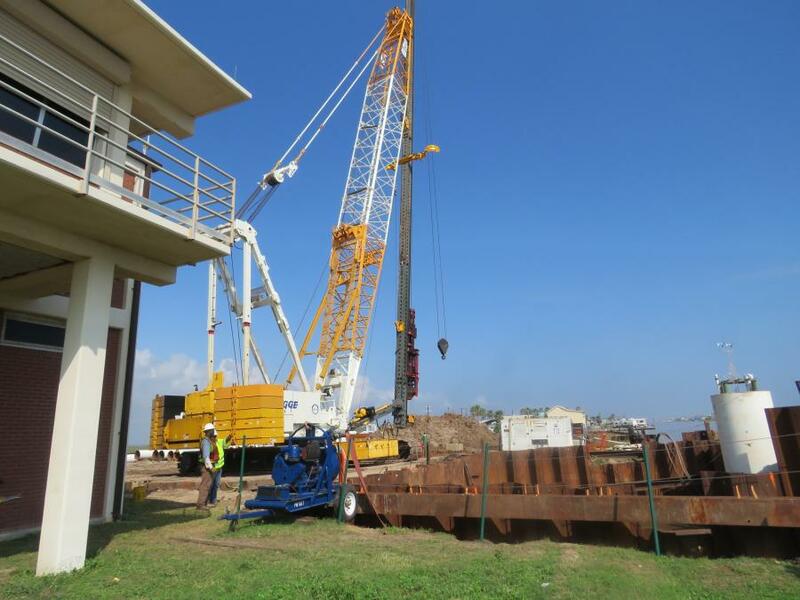 All steel piles have been driven to the required elevations with the required capacity. Workers are continuing to drive piling at Bent 21, 18 17 and 16 respectively. The first mass concrete footing placement was completed before Christmas at Bent 20, with crews starting to excavate material at other bent locations. The contractor will begin casting the precast caps in the near future. As for unexpected issues, field conditions have changed at the Bent 38 location, due to coastal/tidal erosion. The bent is now partially in the water, and is to be redesigned and constructed similar to Bents 39 through 41. Work will be completed through a change order. Two or three crews of four are working the day shift only, five days a week. Rain has affected some of the work, as have very high tides, due to the tropical activity in the gulf. Key tasks yet to be carried out include mass concrete column and approach footing construction, precast prestressed cap fabrication, delivery and erection and superstructure construction of approaches and the main span. The condition of the area before work began was natural, undisturbed coastal shore terrain. The corkscrew bridge is 2,365 ft. long, or 0.5 mi. and 50 ft. wide, 48 ft. divided roadway. It includes two 12-ft. lanes each way, with 10-ft. shoulders. The main span or channel span is 690 ft. long. A total of 2,680 cu. yds. of dirt/material will be moved on the project. Machinery at the job site includes a diesel hammer and leads to install cylindrical piles. Cranes are also among the equipment being used. Materials required during construction include cylindrical steel hollow piles with a 30-ft. concrete plug, mass concrete class for the substructure, precast prestressed concrete for the bent caps, precast prestressed concrete girders for the approach spans (1 through 19, 21 through 41) and precast post-tensioned girders for the main span.